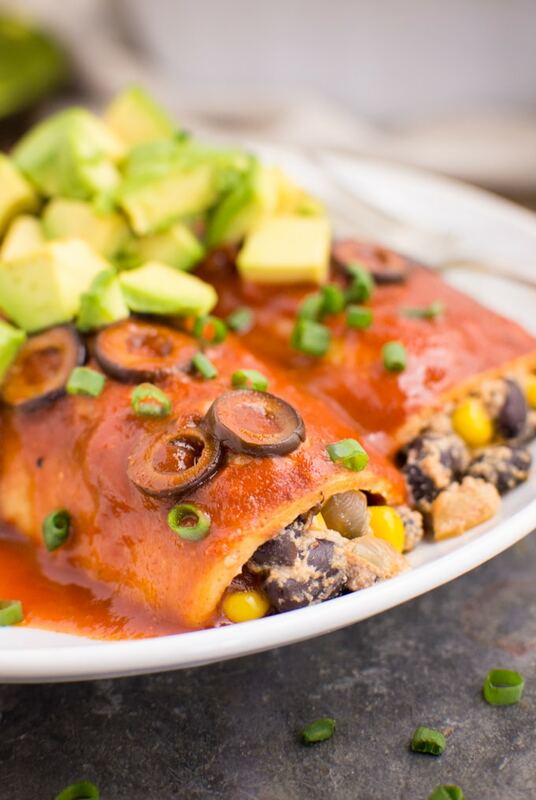 Vegan black bean enchiladas are an easy dinner any night of the week. 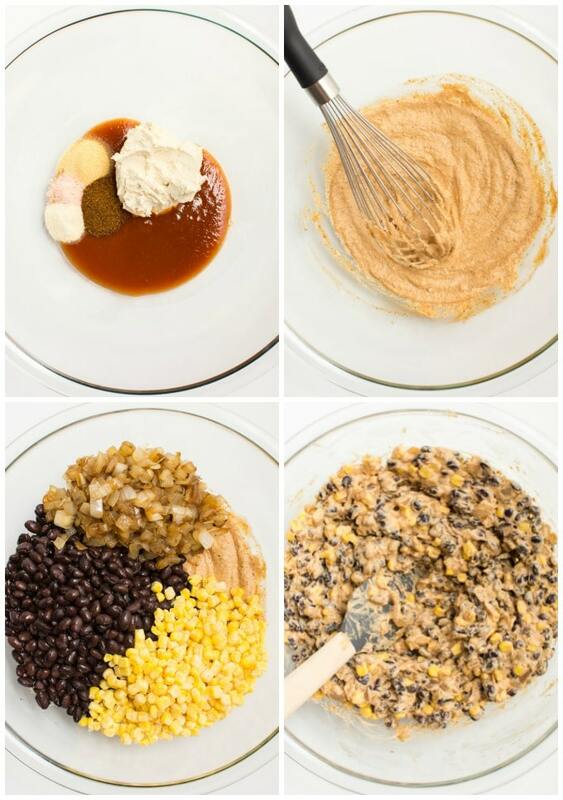 The bean filling is mixed with an enchilada cream cheese sauce for a satisfying, creamy center. 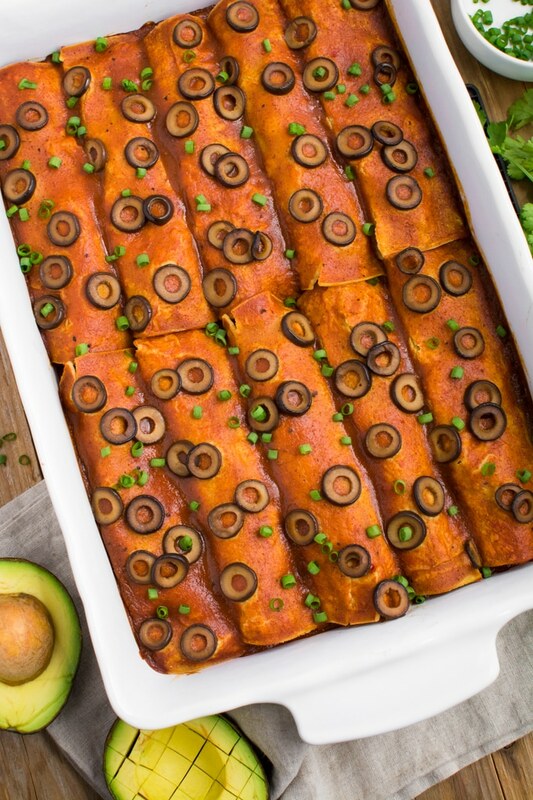 Pair these meatless enchiladas with your favorite Mexican sides to complete the meal. 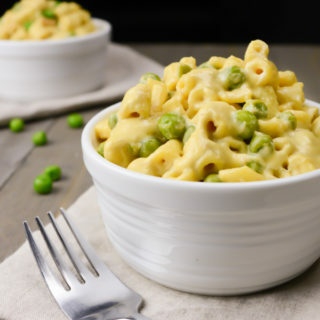 Their authentic flavor makes them a hit with the family! Mexican food is my weakness! And during a recent “weak spell” I was craving my old vegan enchilada recipe! It used a very processed cream cheese which I’m not too fond of anymore. So I ditched it! Instead, I recreated my favorite Mexican dish using my homemade cashew cream cheese. And guess what––I NAILED IT! They were just as delicious, satisfying and crave-able as I’d remembered! Of course if you’re in a pinch or have nut allergies feel free to use any vegan cream cheese available. There are much cleaner store bought options now. 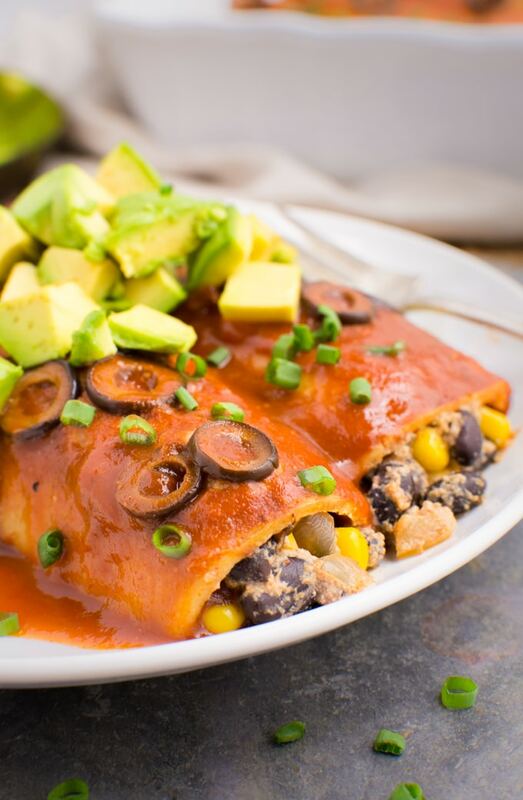 The bold flavors of the black bean filling makes these enchiladas a hit with everyone! Serve them as a main dish for any special occasion. 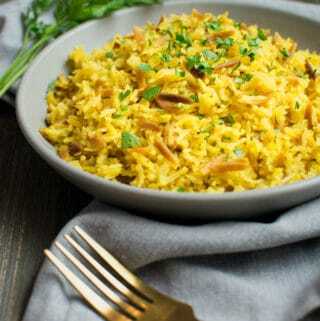 They’re quick, flavorful and can easily be customized to your taste and available ingredients. Complete the meal with chips and salsa and a side of Spanish rice! 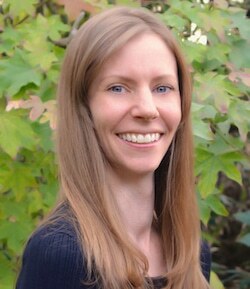 What goes in vegan enchiladas? To keep it simple the enchilada are stuffed with black beans, grilled onions, and sweet corn. 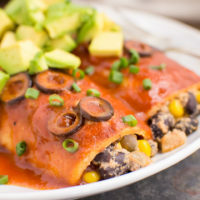 The filling is mixed with a Mexican inspired cream cheese sauce creating the most amazing, creamy black bean enchiladas. But don’t stop there with the filling! Chopped spinach: Add about 1/2 cup of frozen spinach to the mix. Thawed and drained first. Diced bell pepper: Sauté the bell pepper with the onions for an authentic fajita style taste. Cooked potato: Bake or steam 1 large potato. Let it fully cool, dice and add it to the filling. Or try 1 cup frozen hash browns, no need to defrost. Cooked tofu: Cut 1/2 a block of tofu into about 1 inch cubes. Sprinkle with your favorite seasonings. Bake at 350ºF for 20-30 minutes or until tofu looks “dry”. Flip at least once. 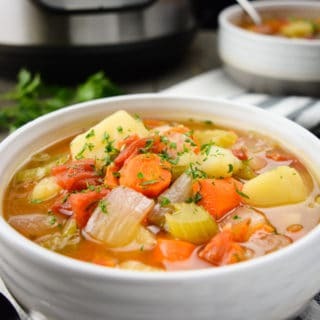 Got leftover veggies that need to be used up? Mix in one cup of cooked veggies to the filling. What is enchilada cream cheese sauce? The cream cheese sauce is a mix of cashew cream cheese, vegan enchilada sauce, and a few Mexican seasonings. It gives the enchilada filling a creamy, cheesy flavor without any processed ingredients! 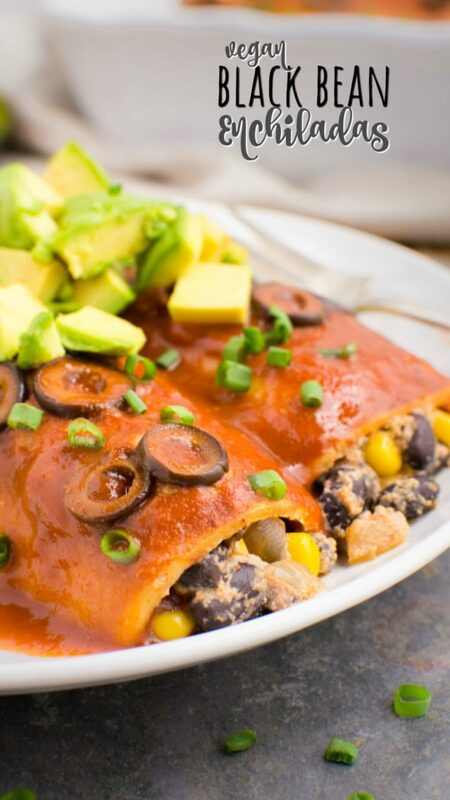 Black bean enchiladas are full of flavor and easy to make. Add the sauce ingredients to a large bowl. Whisk everything together until creamy. Add the remaining filling ingredients. Fold everything together until well combined. Spoon the filling into a softened tortilla. Roll up the tortilla and place it seam side down in the baking dish. Cover the enchiladas with a generous layer of sauce. Add optional sliced olives or vegan cheese. Bake at 350ºF for 20-25 minutes. For saucy, wet enchiladas I recommend covering them with extra sauce before serving. Serve with any of these topping favorites: diced avocado, green onions, vegan sour cream, and/or fresh cilantro. 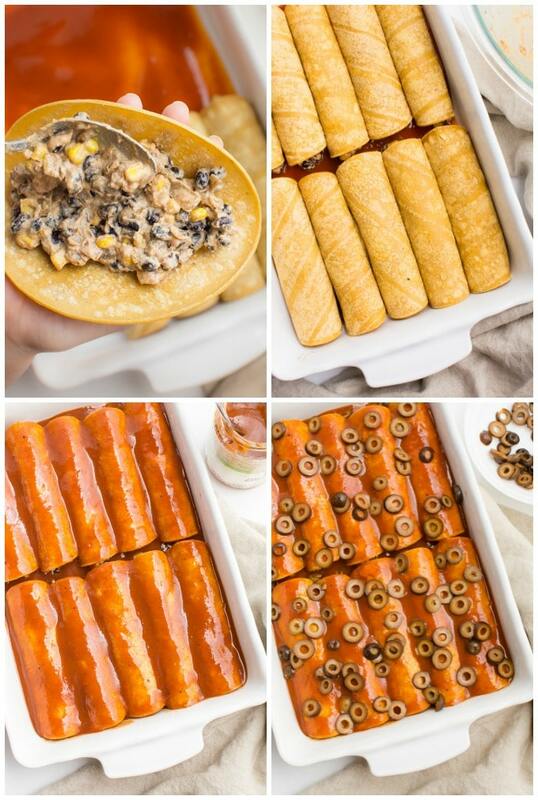 What tortillas can I use for black bean enchiladas? You can use either corn or flour tortillas. I went with corn tortillas. If you decide to use corn as well, you’ll want the tortillas to be soft and pliable. This will keep them from breaking or ripping when they’re rolled up. You can either heat them in a dry pan or steam them to soften. To steam the corn tortillas––wrap them in a clean dish towel and heat in a steamer basket for 1 minute. Remove from the heat and allow them to steam in the towel for 5-10 minutes. If they’re not pliable enough place them back in the steamer basket for about 30 seconds to a minute. Place the warm tortillas on a plate and cover so they stay soft. 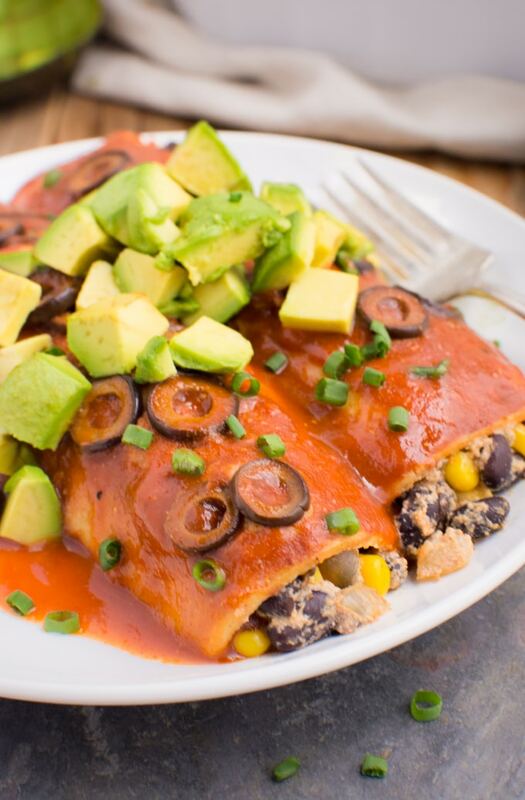 The best vegan enchiladas loaded with black beans, corn, and grilled onions mixed with a creamy sauce. They’re easy to make and always satisfying. Sauté the onions (and bell pepper if using) in a skillet until browned and softened, about 15 minutes. In a large bowl, whisk together the cream cheese, 1/2 cup of enchilada sauce and seasonings. Then, mix in the black beans, onions, (bell pepper) and corn. Heat the tortillas using one of the methods below. Place the heated tortillas on a plate and cover to keep warm. Spoon a layer of enchilada sauce on the bottom of a 9x13-inch oven safe dish. Fill the softened tortillas with a few scoops, about 1/4 cup, of the filling and lay them seam side down in the dish. Once the dish is filled cover the tops of the tortillas with more enchilada sauce and optional sliced olives or vegan cheese. Save any extra sauce for serving. Serve topped with extra sauce, diced avocado, and any optional toppings. Cashew cream cheese can be replaced with equal amount of your favorite store bought or homemade cream cheese. I use and recommend the enchilada sauce from Whole Foods. It's mild enough for my family. But feel free to use any enchilada sauce on hand. There is no need to defrost the frozen corn. It will heat up in the enchiladas. It can also be replaced with available fresh or canned corn.